The only thing preventing the roof from coming off of The Barclays Center last night at the 1st annual #SOURCE360 Concert was the infrastructure itself. Quite honestly, everyone inside made sure they did everything they could to make it happen. 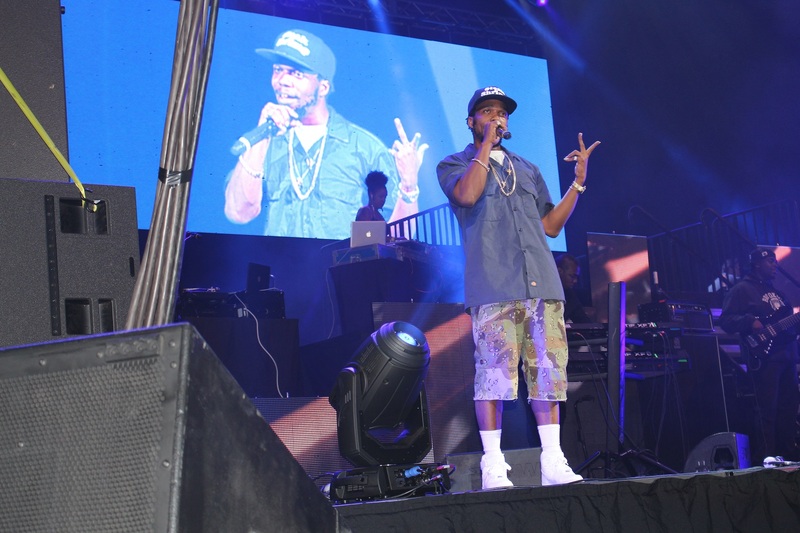 From the onset, with great opening performances from two of the brightest independent rappers in the game–Dom Kennedy and Curren$y–and an incredible set from Bone Thugs-N-Harmony, there waasn’t a dull moment in sight, and the crowd fed the artists with energy all night. 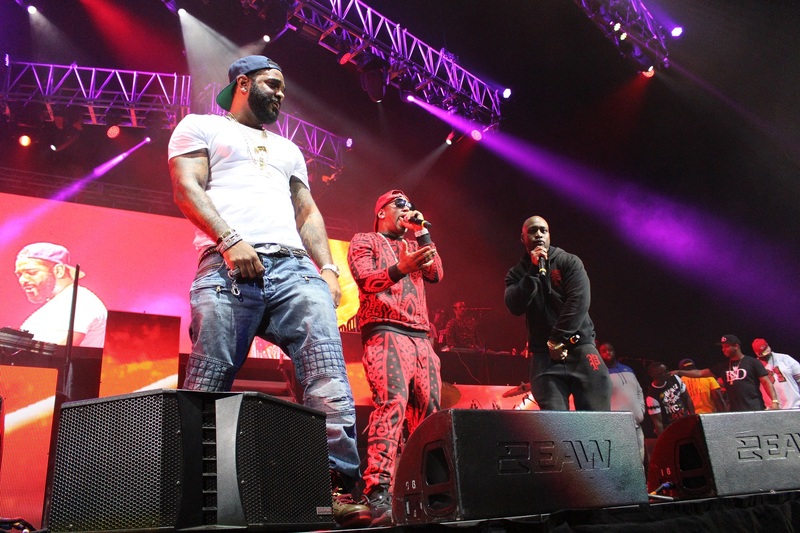 The Diplomats began what was a scintillating stretch for New York rap at #SOURCE360, and with Lil’ Kim and the official Wu-Tang Clan reunion to follow, one could sense the anxiety in the crowd. If the tension could be represented with a rope, it would be so taut one would be able to cut it with a dull scissors. 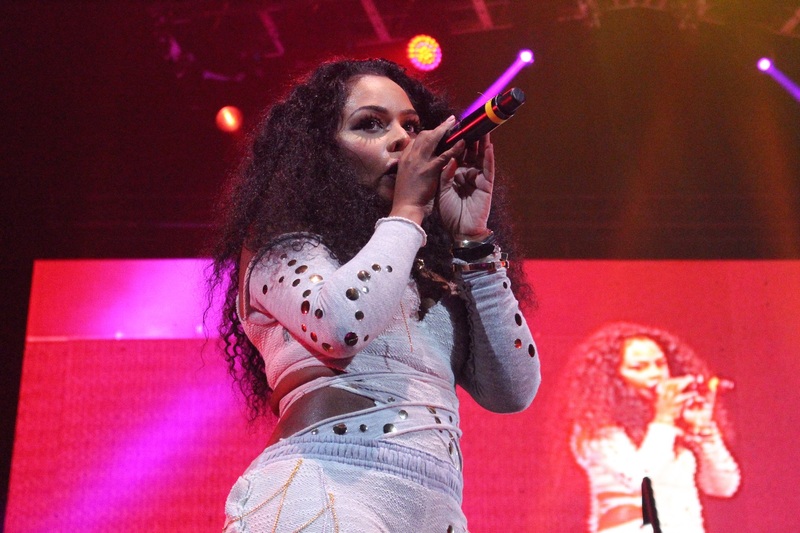 Classics upon classics–that’s what Lil’ Kim brought to the stage, including a special guest appearance from bothMaino and Havoc of Mobb Deep. 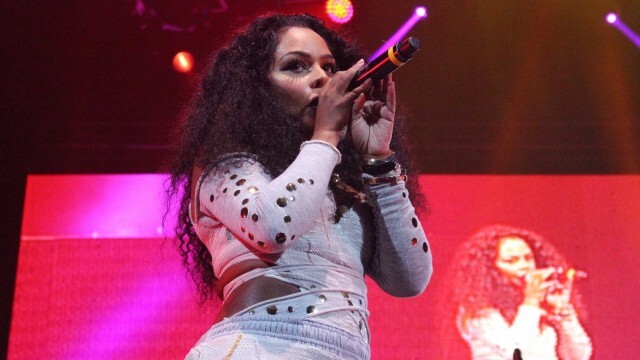 The Queen Bee had it all: Shmoney dancing, twerking, vicious bars (All About The Benjamins, Money, Power, Respect), and a stage presence that most female emcees–in fact, any emcee–would envy no matter how long they’ve been rapping. She didn’t take the opportunity to drop any subtle hints or dis shots at Iggy Azalea, or Nicki Minaj, which is what most expected, but rather stepped up to the plate and killed it. 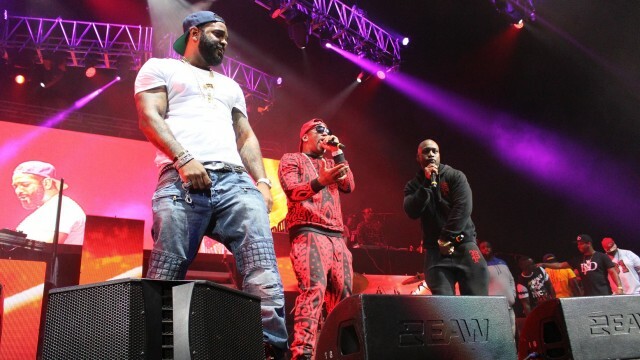 Prior to Lil’ Kim, The Diplomats hit the stage, all four of them (Freekey Zekey included) and performed some of their classics: “Dipset Anthem”, “Oh Boy”, “Salute”, “We Fly High”, and that’s just to name a few. 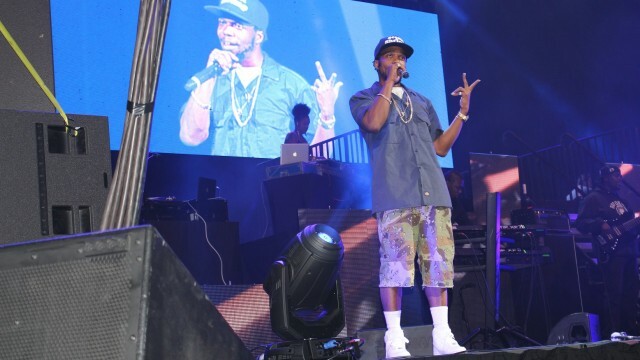 There couldn’t be a better lead into the Wu-Tang Clan reunion. Two of New York’s most important and genre-defining eras showcasing exactly why they mean so much to this culture on stage at the biggest venue in New York’s hottest borough. It was truly a night to be remembered. The Wu-Tang Clan reunion had been talked about for quite some time, but none of the hype, promotion or advertisement–not even the quote the RZA fed the New York Times about the moment–prepared anybody for the moment the RZA, Ghostface Killah,Method Man, Raekwon, Cappadonna, and the rest of the surviving members of The Wu-Tang Clan hit the stage at The Barclays Center. It wasn’t 4 or 5 of the members, and 1 or 2 of the members didn’t happen to “forget” to show up to the venue. All 9 of them, on the stage. Strong and united–yes, even RZA and Raekwon.